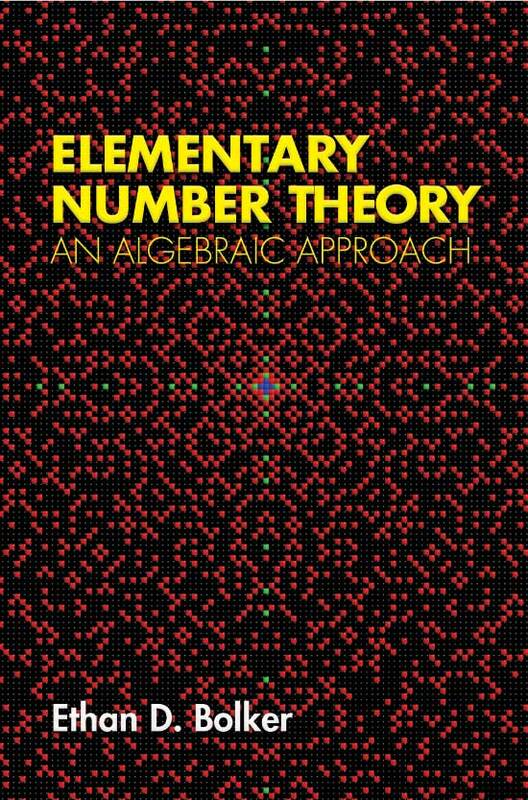 The Dover reprint of my 1970 text Elementary Number Theory: an Algebraic Approach is available directly from the publisher. Because it's Dover it's a mere $14. No need to go to Amazon to save two dollars. The colored points in the cover image identify the primes in the Gaussian integers - the ring of complex numbers with integer coordinates. The greens correspond to 2 and the ordinary integer primes of the form 4n+3. The reds are the Gaussian prime factors of the rational primes congruent to 1 mod 4. Fermat proved that just those primes are the sums of two squares, so they factor in the Gaussian integers. (Theorem 14.5 on page 31). The image is reproduced with permission. If you have a copy of the original edition you will want to know about the errata. If you buy the new one you'll find this list there. Here are the few new errata present in the original but discovered only in the Dover edition.